Milk! WHERE IS THE MILK WE WERE PROMISED!?!?! WE NEED MORE GLORIOUS WHOLESOME MILK!! 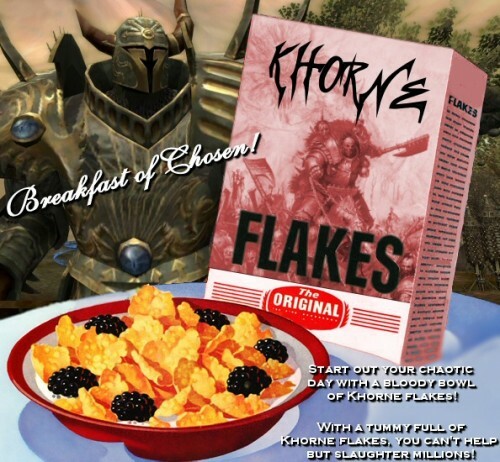 MILK FOR THE KHOOOORNEEE FLAKKESSS!! MILK, I ACHE FOR THE TASTE OF MILK! WHY ARE WE OUT HERE, WHEN WE COULD BE IN THE THICK OF BREAKFAST! YES. Damn that was a good LOL. One of the better ones I had in a good amount of time. There is glue in that bowl. It should be “BLOOD FOR THE BLOOD GOD”!!!! I just shooped this. Hopefully Tiki will have it up soon.